Let’s conclude this series on John Dominic Crossan’s new book, The Power of Parable. 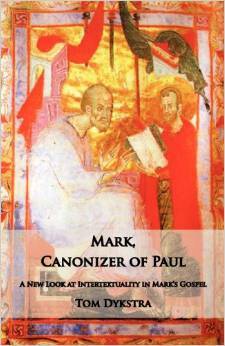 Last time we looked at the Gospels of Matthew and Mark; this time Luke-Acts and John. If the authors of the Gospels wrote fiction about Jesus, is it necessary to postulate an historical Jesus to explain the Gospels? Now this question is more than just a “mythicist” question. Of course it has implications for the question of whether or not there ever was an historical Jesus. But can’t we ask that same question without any of the mythicist-historicist invective we have come to expect of it? Forget the mythical-historical Jesus debate. Let’s address the evidence, the Gospels, without fear or favour. First things first. So let’s start with Crossan’s discussion of Luke-Acts. 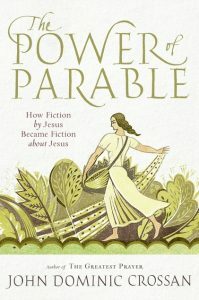 This post was to conclude my series on Crossan’s new book, The Power of Parable, but since it is taking longer to complete than I anticipated I’ll post here only on Crossan’s treatment of the Gospels of Mark and Matthew. Luke-Acts and John can wait. According to Crossan the author of this Gospel was not writing a history or biography of Jesus but a parable about church leadership and the meaning of true Christianity. So what was Mark’s parabolic message to these people? In his gospel, Mark claims that false prophecy led Jerusalem’s Christian Jews astray by promising them that the (second) coming of the Messiah would save them from . . . Roman destruction. And, says Mark — with parabolic hindsight and fictional creativity — Jesus had warned against that very delusion . . . .
Mark is writing a story to castigate the Twelve for getting Jesus wrong in every way. for failing to understand that performed miracles for both the Jews on the western side of the lake and the gentiles on the eastern side. Mark is taking what he sees as the sins of the Twelve throughout the forty years after Jesus (from the late 30s to the early 70s) and re-writing them so they appear in a story setting of their time with Jesus. As signalled in a comment on my recent post on the single authorship of Genesis to 2 Kings, I have decided it best to back-track a little before continuing that series and posting a little on how oral tradition came to be a ruling paradigm among Biblical scholars and why an increasing number of scholars, especially those who study the Gospels, are coming to question whether it has any place at all in the creation of the biblical stories. This post begins to cover Thomas L. Brodie’s chapter, “Oral Tradition: Wonderfully Plausible but Radically Problematic”, in The Birthing of the New Testament: The Intertextual Development of New Testament Writings. 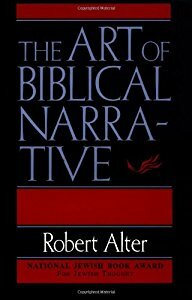 Given that the time-gap between the events narrated and the gospels was at most fifty or sixty years, it was understood that eye-witness testimony in some form (oral or written) was available to even the latest of evangelists. used it as a model and who thus introduced it to the center of biblical studies. In effect, he gave the twentieth century a new paradigm. Professor Markus Vinzent has posted on his blog Marcion’s authorship of his Gospel – an overlooked question, an article that directs readers to a re-consideration of the ideas of Paul Louis Couchoud that I have recently been outlining here. Past scholarship has always taken for granted the claim of Irenaeus that Marcion found and edited an existing Gospel. Professor Vinzent finds only two exceptions in the literature to this view and one of them is Couchoud. 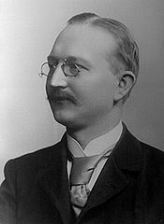 And there is the poet Paul-Louis Couchoud (1879-1959), professor of philosophy and scholar at the Ecole Normale, Paris who, very different from Vogels’ Germanic cautious suggestion, developed a full ‘outline of the beginnings of Christianity’ in his The Creation of Christ (excerpts, a good summary and comments can be found here), based on the idea of a Christ-myth which was turned into a historical Gospel-narrative by Marcion in the years 128-129. And although scholars may rightly reject most of the wild speculations of Couchoud, a critical reading of him is extremely rewarding. 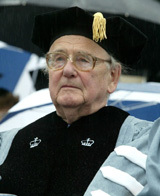 He knew his sources and he was prepared to unearth and make fresh and unorthodox connections which even today can inspire serious scholarship. Why has scholarship not picked up the question of Marcion’s authorship – irrespective of whether one agrees or disagrees on it? And although scholars may rightly reject most of the wild speculations of Couchoud, a critical reading of him is extremely rewarding. He knew his sources and he was prepared to unearth and make fresh and unorthodox connections which even today can inspire serious scholarship. In this post I show that a renowned oral historian publishes a case study that demonstrates the unlikelihood that mythological embellishments could possibly have been added to an “oral report” within 40 years of the event. So what might the research of oral historians contribute to this critical NT and HJ discussion? Why are the Gospels so believable? One of my first posts on this blog asked why the Gospel of Mark was not more often interpreted in a way we would normally interpret any other form of literature. I was referring to Frank Kermode’s discussion of the Gospel of Mark in The Genesis of Secrecy : On the Interpretation of Narrative. This post explores a more in depth reading of Kermode’s chapter titled “What Precisely Are the Facts?” Here Kermode addresses what it is about the Gospels — the literary devices used in them — that lend them an air of being “true” or believable narratives. When on occasion I encounter even an academic scholar affirming that a Gospel narrative “rings true” or has an “air of historical plausibility” about it I am dismayed at the naïvety of such assertions. Conscious awareness of the power and functions of rhetorical styles is easily lost on many of us and Kermode goes some way to explaining why. Not everyone has ready access to Kermode’s book, so I allow readers to glance over my shoulder and see the following snippets I have taken from this chapter. I have bolded the main points that I think deserve quick attention. The first point ought, to my mind, be simple enough to take for granted if we stop to reflect that the written word is just another means of human expression and humans are by nature capable of being mis-read, misunderstood, and — whether for good or ill — skilled in pretence and deception. Were it otherwise there would be no need for court systems and no place for a lot of theatre and not a lot of point in lying. In my previous post I covered Galit Hasan-Rokem’s comparisons of some early Christian and rabbinic midrash. In this post I comment on Hasan-Rokem’s discussions of other tales in the midrash of Lamentations Rabbah and draw my own comparisons with the Gospels. The second rabbinic story of a Messiah discussed by Hasan-Rokem is one about the death of “King Messiah” Bar Kochba. Here the messiah is the villain. (Rabbinic sources subsequently referred to him as Bar Kozeba, Son of Lies.) I think there are a number of interesting plot and motif similarities here, just as there are between the messiah birth narratives of the Christian and rabbinic literature and that were detailed in the previous post. But what makes the overlaps interesting is considering an explanation for them through the constructs of anthropologist Claude Levi-Strauss. If this turns out to be an invalid process, invalidly applied, fair enough. But let’s see what it might possibly suggest till then. in their 1993 volume The Relationship Between Herodotus’ History and Primary History (Genesis to 2 Kings). all three are predominantly prose narratives, yet at the same time all three contain a mix of genre elements such as epic, tragedy, novella and poetry. The previous post covered some of the indications that the heroine of Greek novel Chaereas and Callirhoe was modelled on Ariadne of Theseus and the Minotaur fame. This post looks at the way the author Chariton has constructed his hero, Chaereas, from cuts of other mythical and legendary figures, in particular from Achilles. The earliest ancient novel we have is a tale of two lovers, Chaereas and Callirhoe, by Chariton. A summary of its plot can be found here. It is dated to the early second century. I have discussed or alluded to this novel in the various posts found on this page as a comparison to the Gospels, and this time I will show that its characters, plot and setting are drawn from a mix of historical and mythical sources. Not a few scholars today who specialize in literary analysis of the Gospels have argued that this is how the Gospels were also constructed: from a mix of history and myth. Most recently along these lines I have posted a few times on Spong’s arguments that Gospel characters like Judas, even the “Twelve Disciples”, Jairus’s daughter who was raised from the dead, blind Bartimaeus, and Zechariah and Elizabeth (the parents of John the Baptist) are all cut from literary fictions. The character of Jesus himself is based on Moses in the Gospel of Matthew and on Elijah in the Gospel of Luke. At the same time, however, we have obviously real people — e.g. Herod and Pilate — appearing in the Gospel narratives. Some criticisms of these posts have been along the lines of saying that ancient authors did not write stories with historical characters mixed up with fictional characters whose creation was inspired by mythical tales. Well, that particular criticism is wrong. 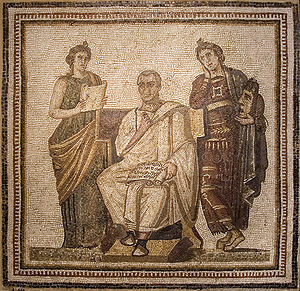 Chariton is evidence that ancient authors did indeed make up stories that included a mix of historical persons, events and settings along with character and plot details drafted from popular myths and older fictional literature.